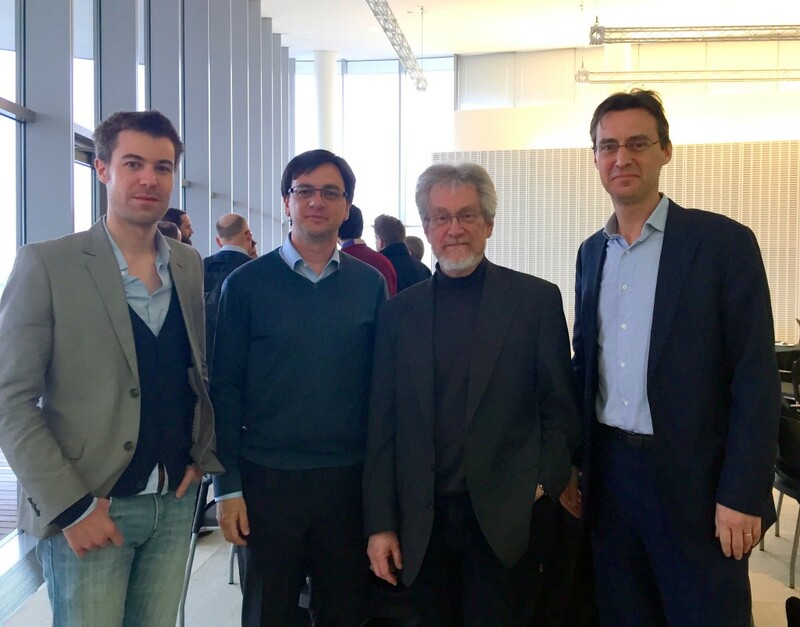 I had the pleasure to organize last edition of Netmob at MIT Media Lab (together with Sandy Pentland, Vincent Blondel and Yves-Alexandre de Montjoye). 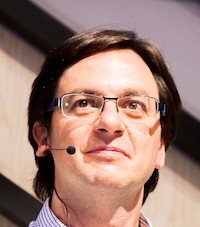 Netmob is the primary conference in the analysis of those datasets in social, urban, societal and industrial problems. 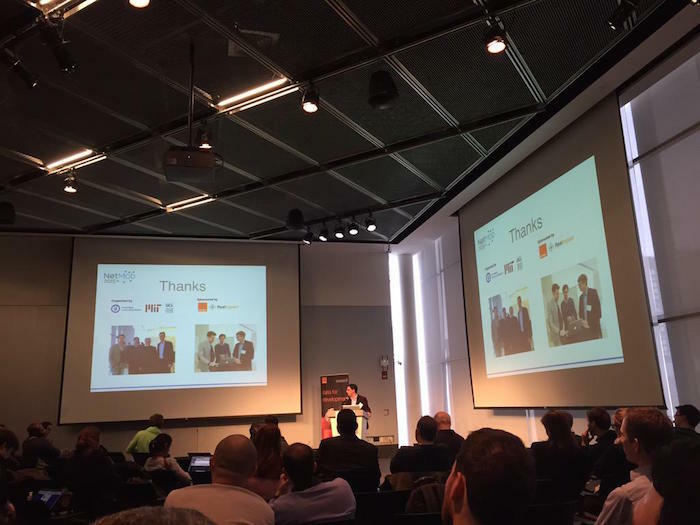 Netmob 2015 also hosted the final part of the D4D Challenge by Orange. They were 3 amazing days of applications and analysis of mobile phone datasets, preceded by one-day school and 3 days Hackathon. More than 60 talks and 40 posters were presented. Around 250 participants from 140 institutions, 32 countries (5 continents!) 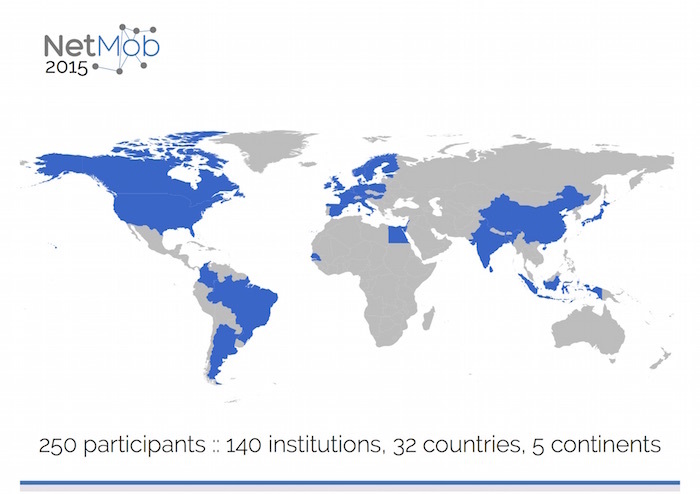 participated, showing the international and wide interest in Netmob.